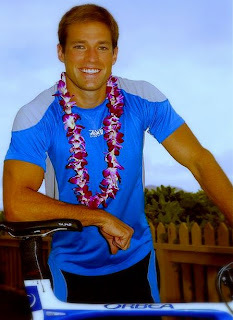 U.S. Navy Lieutenant Andy Baldwin, M.D., 30, an undersea medical officer for a special operations dive unit stationed in Pearl Harbor, Hawaii - a real-life "officer and a gentleman" - faces the most exciting mission of his life -- finding true love -- when the tenth edition of ABC's popular romance reality series, "The Bachelor: Officer and a Gentleman," premieres MONDAY, APRIL 2 (9:45-11:00 p.m., ET), on the ABC Television Network. Andy, an accomplished triathlete and winner of recent humanitarian awards for his work in Laos last summer -- on a military mission where he treated over 600 Laotians in remote mountain villages -- grew up in Lancaster, Pennsylvania, where he was valedictorian in high school and a competitive swimmer who made All-American. He was even named ESPN's National Scholar Athlete of the Year in 1995. The Navy offered him a full ROTC scholarship, which he took and went to Duke University, where he was a varsity letter winner on the men's swim team and began training for marathons, all while taking a pre-med course load and earning a degree in biology, with a concentration in genetics. After graduating Duke with honors, he enrolled in the University of California-San Francisco School of Medicine and was a surgical intern at Naval Hospital San Diego, where he graduated in 2003.In this premiere episode, "1001," a yacht anchored off Los Angeles becomes Andy's private refuge, while the women take over their own house. And so the handsome doctor begins his marathon run to find the woman of his dreams. When the bachelorettes arrive to party and meet Andy, they are quick to find out that the competition starts immediately - right as they get out of their cars. This time it really is a "first impression" rose that Andy must deliver to one lucky lady as she arrives, and it's enough to send daggers flying between the 25 new bachelorettes. As the party begins, Andy lets slip that it's his birthday and the news spreads like wildfire around the room. One woman shares a special bonding moment with the Bachelor when she reveals it's also her birthday. What will two other bachelorettes cook up when they sneak off to the kitchen to whip up something for Andy's special 30th birthday? The bachelorettes pull out all the stops to impress Andy: One female body-builder challenges Andy to a push-up contest, an acrobatic bachelorette is so taken by the Bachelor she literally does back flips for him in her evening dress in a must-see demonstration, and yet another woman treats Lieutenant Baldwin to a patriotic serenade of "The Star Spangled Banner. "The pressure mounts as the evening goes on and sparks fly between two tipsy bachelorettes when one falls down. Andy must eliminate ten of the 25 women the first night, leaving 15 to compete for his affections. In the end, one woman explodes in a tirade when she misses out on the last rose. A list of the bachelorettes will be released shortly. In bringing the iconic romantic movie "An Officer and a Gentleman" to real life, the women during the course of this season's "Bachelor" must be prepared to participate in a high energy "boot camp," complete with a "drill sergeant," plus triathlon events (swimming, biking and running) and race car driving. With Andy's true humanitarian spirit a large factor in his life, the bachelorettes will also participate in a charity event for an inner city school in Los Angeles. Many other adventurous dates will test the ladies' perseverance in pursuing their romantic objective, along with fun, exciting and exotic dates that will elicit real and raw emotions. As in the past, women will continue to be eliminated each week, but if, at any point along the way, a woman should decide that she's no longer interested in the Bachelor, she can reject his invitation to continue dating. Some lucky women will meet his family, and he will visit their hometowns for a slice of their life in an effort to determine the woman with whom he is most compatible. At the end of the journey, the Bachelor may quite possibly have found true love.